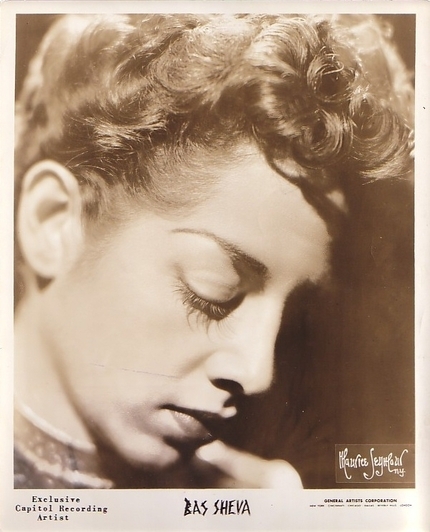 Vocalist Bas Sheva was born Beatrice Kurzman to a wealthy and prominent Jewish family in Philadelphia. 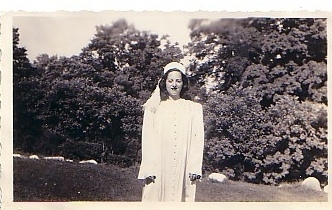 When Kurzman decided to go into show business she adopted the name “Bas Sheva” (i.e., the Biblical “Bathsheba”) in order not to embarrass her family. 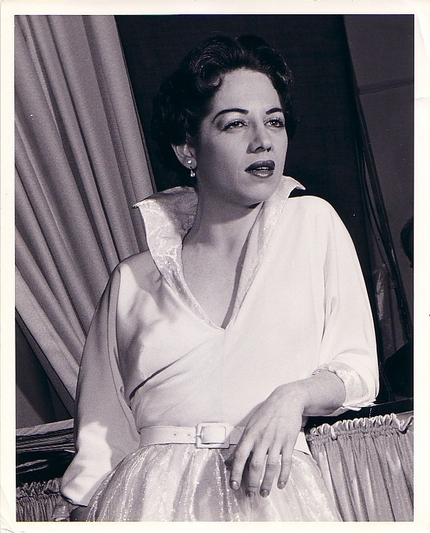 She formally studied the voice and developed an extremely powerful instrument with extraordinary dexterity, and probably got her start singing in the so-called “Borscht Belt” of Catskill Mountains resorts. 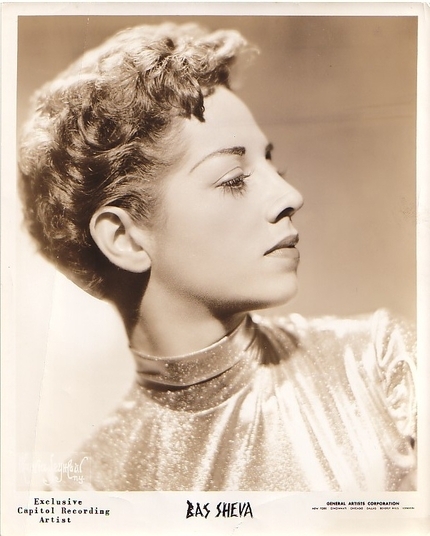 Her recording career began around 1950 with a small number of obscure singles of standards, none of which sparked much interest. 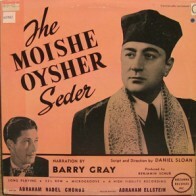 In 1953 Bas Sheva was engaged by bandleader Hal Mooney as the principal voice on Soul of a People, a collection of traditional Jewish songs issued by Capitol. 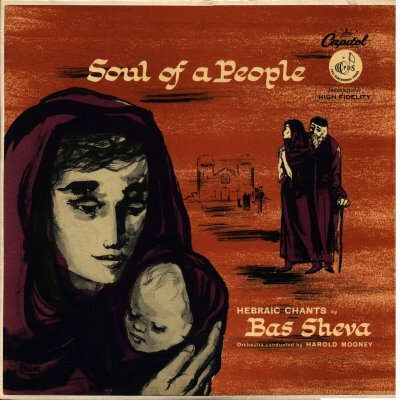 This was a very successful disc in the Jewish market, and Bas Sheva’s brassy, no holds barred delivery of this familiar material was an important element in making Soul of a People appealing. 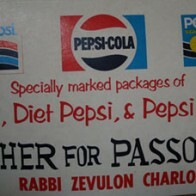 Nonetheless, Bas Sheva did not record again for another five years, and she may have felt somewhat typecast as a primarily Jewish entertainer. 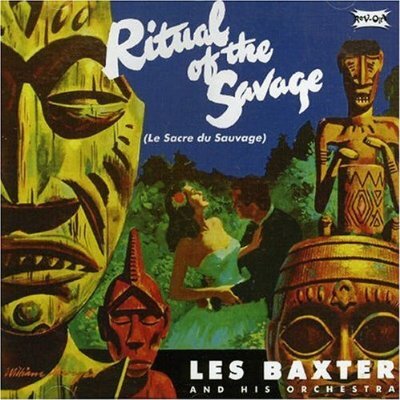 Composer and Capitol Records producer Les Baxter came to her rescue by offering Bas Sheva the role of star vocalist on his suite The Passions. 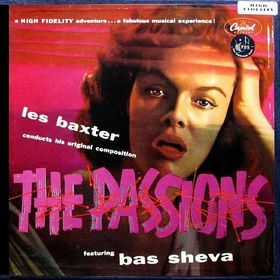 Bas Sheva’s performance on The Passions is quite amazing even 50 years on; she screams, wails, whimpers, howls, grunts, and even acts a little to the pulsating rhythms of Baxter’s dark, gritty, and complex musical score. While The Passions was the very embodiment of innovation in an era that encouraged musicians to stretch out, it was considered far too edgy, obscure, and over the top in its time and was not a success. 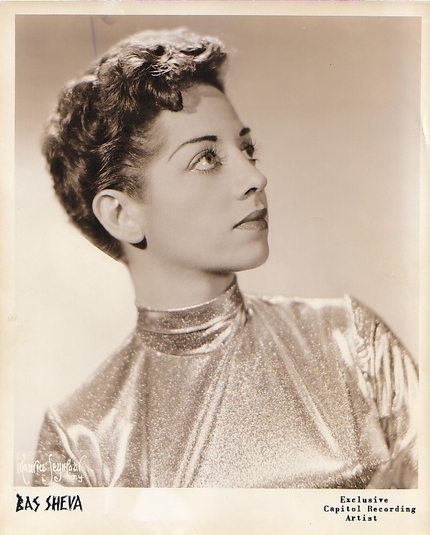 Despite this great showcase of all the astounding things Bas Sheva could do with her voice, she was never to record again. 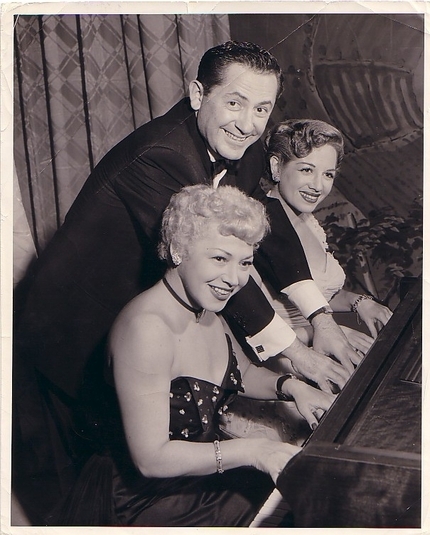 In 1960 Bas Sheva died at age 34 from a diabetic reaction suffered while entertaining on board a cruise ship.